The front 9 is fairly long (3348') and open, running on the edges of the prairie. The back 9 is shorter and requires more accuracy, finishing along the Red Cedar River behind campus. On the U of Wisconsin - Barron County campus. 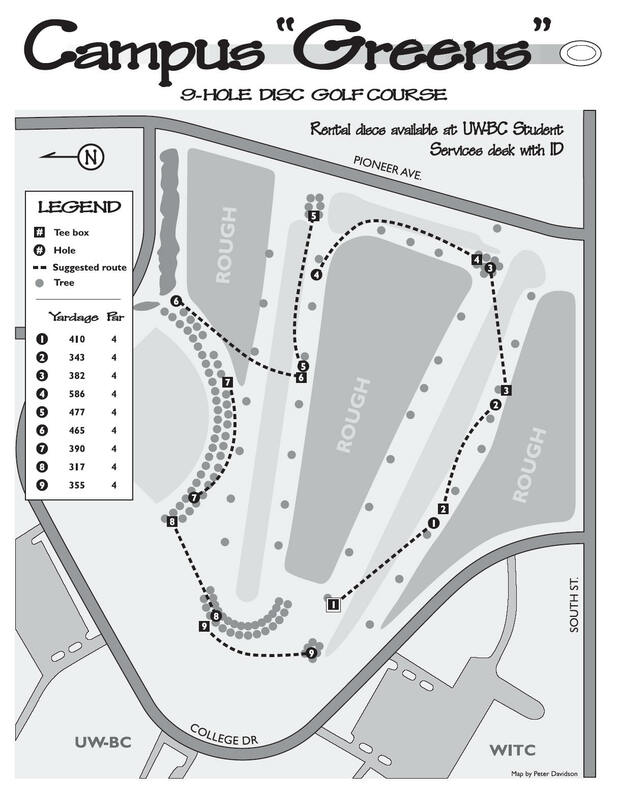 Take Exit 140 off Hwy 53 and head 1 mile east toward Rice Lake and a left on Pioneer Ave. Go 0.7 mile to a left on South St., 0.1 mile to a right on College Dr., then 0.1 mile to the course sign, parking lot, and 1st tee on the right. Have you played at UW-BC Campus Greens? Be the first person to review this course!